Anderson Lake is a company man, AgriGen's calorie representative in Thailand. 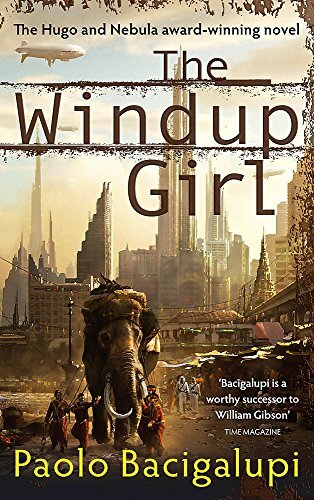 Under cover as a factory manager, he combs Bangkok's street markets in search of foodstuffs long thought to be extinct. 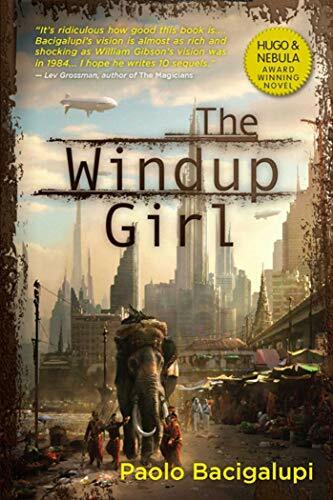 There he meets the windup girl - the beautiful and enigmatic Emiko - now abandoned to the slums., She is one of the New People, bred to suit the whims of the rich. 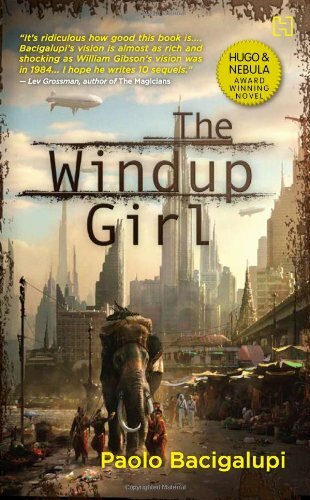 Engineered as slaves, soldiers and toys, they are the new underclass in a chilling near future where oil has run out, calorie companies dominate nations and bio-engineered plagues run rampant across the globe.And as Lake becomes increasingly obsessed with Emiko, conspiracies breed in the heat and political tensions threaten to spiral out of control. 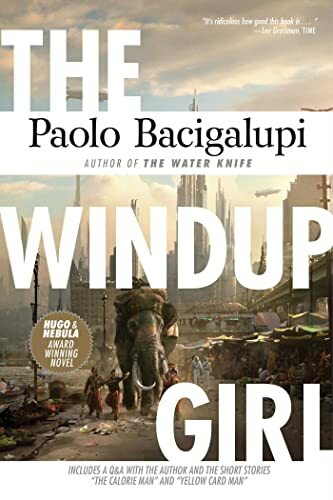 Businessmen and ministry officials, wealthy foreigners and landless refugees all have their own agendas., But no one anticipates the devastating influence of the Windup Girl.